Let’s talk about the taste. I love the taste. It has no added sugar and yet it was sweet. It was infused with natural pomegranate juice. I wish I could just drink this like any regular fruit juice whole day, everyday. I didn’t consume long enough to experience an obvious change. However, what I noticed is that I don’t look tired when I got up in the morning. I usually sleep very late, so waking up to a tired zombie looking face is no surprise. But I didn’t look tired. In fact, I looked kinda vibrant! I usually take collagen in the powder form and mix it in a shake that I always drink in the morning. Must add with shake cos of the taste and smell. It was awful. What a woman gotta do to prevent ageing? Must take lor. 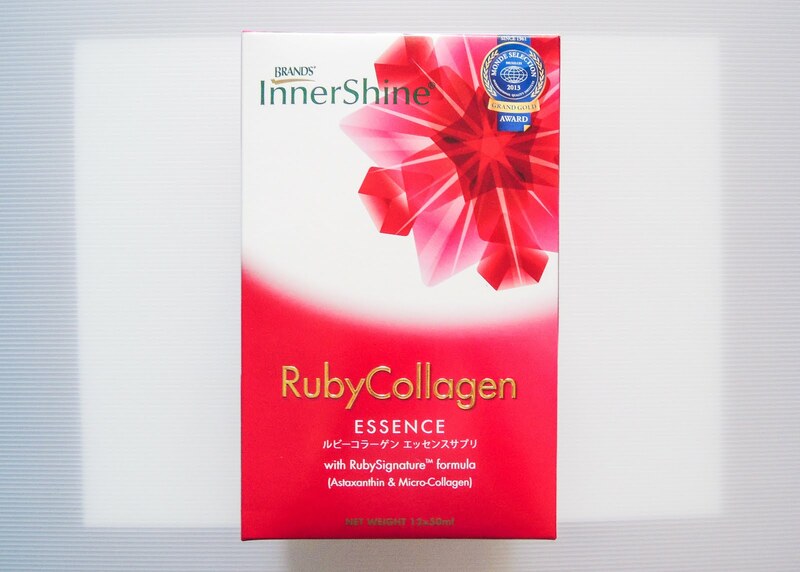 But when consuming the BRAND’S® InnerShine® RubyCollagen Essence and experience the difference, I was blown away! The taste is way much better! So, why is it so awesome? It's the RubySignature™ formula. It has the combination of micro-collagen peptides and its key ingredient, Astaxanthin. 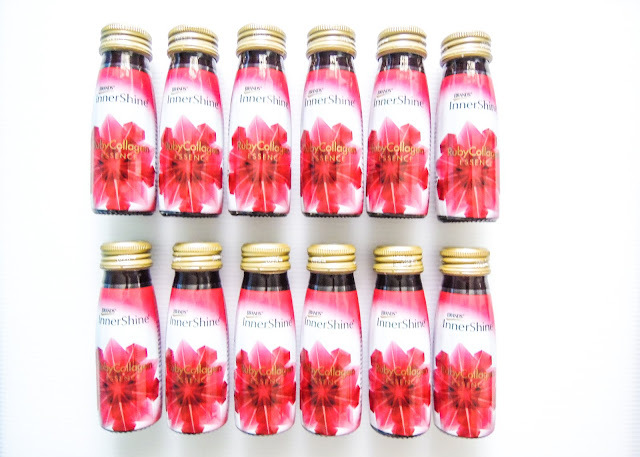 Astaxanthin is Mother Nature’s most powerful antioxidant. Astaxanthin never becomes a pro-oxidant in the body so it can never cause harmful oxidation. It is capable of protecting collagen as well as minimizing the loss of collagen in your skin. 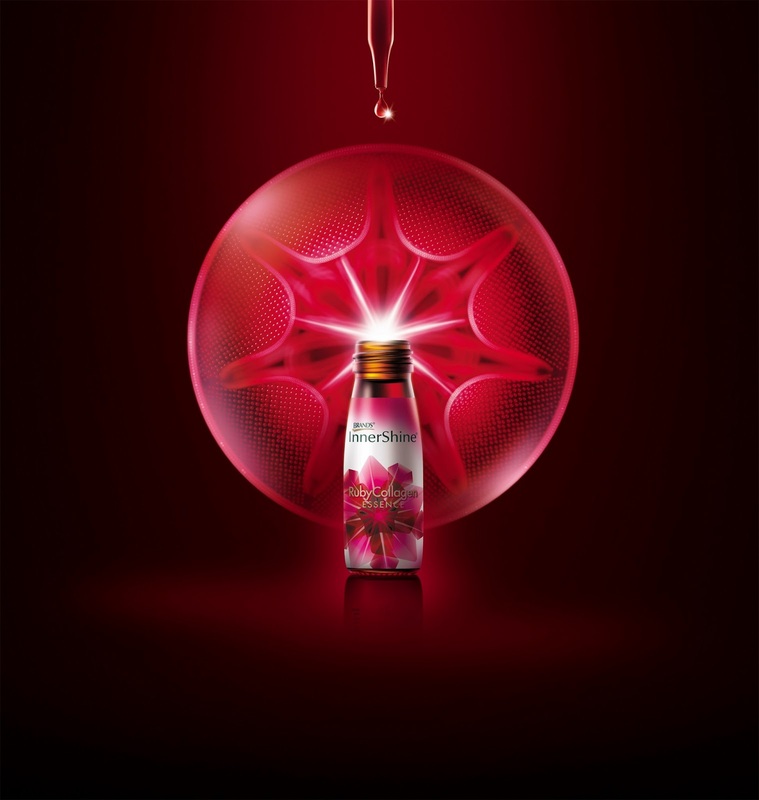 Astaxanthin antioxidant power is 6000 times more powerful than Vitamin C, 800 times more powerful than CoQ10 and 500 times more powerful than Vitamin E. While collagen is necessary to support the skin’s structural foundation to improve firmness and elasticity for youthful and supple skin, Astaxanthin serves as the perfect complement by acting as a natural shield against the collagen-depleting procedure. Astaxanthin also helps to combat the risk of high blood pressure and heart disease by reducing ‘bad’ cholesterol oxidation. This prevents the build-up of fatty deposits in blood vessels and helps maintain blood vessel elasticity, preventing premature aging of the blood vessels. That’s a lot of information on astaxanthin. Pheww… There’s a lot more information to look it up. I even found that it may improve fertility for men! Now that I have completed the 12 bottles, I was more than happy to know that I can purchase them online. Besides the drink, it comes in strips too. They even have a bundle deal on their e-store! * This review is made possible by SampleStore and BRAND’S®.